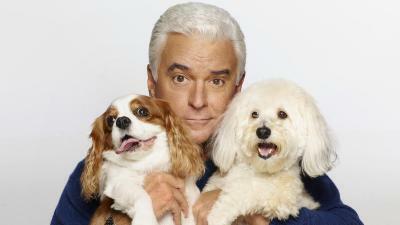 "The NATIONAL DOG SHOW Presented by Purina" celebrates man's best friend and is hosted by award-winning actor, author and Broadway star John O'Hurley ("Seinfeld," "Dancing with the Stars," "Devious Maids"). Expert analysis is offered by David Frei, an American Kennel Club-licensed judge and former host of USA Network's "Westminster Kennel Club Dog Show." NBC's Mary Carillo will report from the benching area and inside the show ring, while Tara Lipinski and Johnny Weir offer a behind-the-scenes look at the show as reporters and digital contributors. "For 15 years, the 'National Dog Show Presented by Purina' has been at the forefront of the purebred dog world," said O'Hurley. "I'm proud to be a part of a legacy that celebrates such a rich history. I look forward to seeing all the dogs and families, who come out to join us on my favorite day of the year." Included this year are three new AKC-sanctioned breeds - the Pumi (herding group), the Sloughi (hound group) and the American Hairless Terrier (terrier group) - bringing the total recognized breeds and varieties for the competition to 202. A total of 43 new breeds have been introduced to the competition since 2003. NBC will present an encore of this year's "National Dog Show Presented by Purina" on Saturday, Nov. 26 (8-10 p.m. ET/PT). Last year, Good Time Charlie, a 4½-year-old Skye Terrier who won over the crowd with his beautiful coat and happy personality, was named Best in Show from among the seven group winners. An established family holiday tradition, the broadcast reached more than 20 million total viewers last year and is part of a five-hour block of family programming. The telecast will showcase more than 2,000 purebred canines competing for the title of Best in Show, with enormous prestige at stake. Unlike traditional dog show coverage, the Kennel Club of Philadelphia's NATIONAL DOG SHOW offers the country's 65 million pet-owning households an afternoon of family-friendly activities, facilitated by the open format of the esteemed event. As one of the only remaining "benched" dog shows, all of the competing breeds are on display for the visiting public. To continue THE FAMILY fun, NBC Sports Network (NBCSN) will present a Thanksgiving Day marathon (beginning 5p.m ET/PT) of "The NATIONAL DOG SHOW Presented by Purina®," featuring all five Best in Show winners from 2011-2015. For more information on the "National Dog Show Presented by Purina®," visit: http://www.nationaldogshow.com. Breed descriptions and more information can be found at http://nds.nationaldogshow.com/event-info-newbreed16.php.